In no particular order, Here is our List of Events/Shows that rocked in 2011. 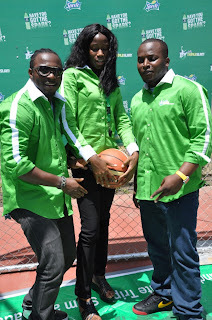 Sprite Triple Slam is a yearly Coca-Cola activation that involves basketball, music and dance The event kicked off this year on July 1st, 2011 and the grand finale took place at the Prestigious Eko Hotel and Suites in Lagos on August 8, 2011. The Judges for this year’s event were Lanre Dabiri aka eLDee, Michael Egbebor of the DNMT dance group fame, and Bolaji Akiode, a female basketballer who has represented Nigeria at the Olympics. The winners of the Sprite Triple Slam competition emerged after three rounds of performance with each taking home 1.5 million Naira. Justin was the winner in the basketball category while Oobi from Abuja won the music category. The dance group Furious Energy emerged victorious in the dance category. switc, Shank, Bany W, Naeto C, Sasha, Tiwa Savage) The event took place at Eko Hotel and Suites on July 29th, 2011.The show was organized by Jennifer Olize. P Square Concert and Album Launch the Okoyes released their fifth album was held on Saturday, July 30, 2011 at Eko Hotel and suites, Lagos. Celebrities, fans of Psquare came out to watch the pop stars perform songs from their latest album ‘Invasion‘ and also other tracks from their previous works. Ice prince Album launch “Everybody Loves Iceprince” The long anticipated album launch went off without a hitch on 9th of October 2011 at the Expo Hall of Eko Hotel and Suites, Victoria Island, Lagos. Many stars came to show support and performed, notably Chocolate City label-mates, Jesse Jags, Brymo and M.I. Mrs Folorunsho Alakija 60th Birthday Soiree and Book launch Prominent society woman and businesswoman, Mrs. Folorunso Alakija, and her better-half, Modupe, proved their class when they serenaded Nigeria’s A-list celebrities with a 3-in-1 party that practically left guests almost wishing it never ended. The celebration which has 60th Birthday at Eko Hotel and Suites and she also authored a book titled, University of Marriage. 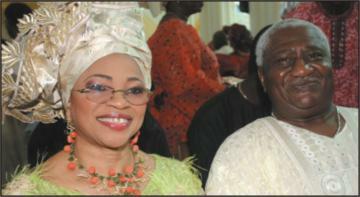 She unveiled her book at Civic Centre on Wednesday July 13th, 2011. MTN Project Fame Opening Gala – Grammy award winning singer, songwriter and actress, Brandy Norwood , popular American R&B singer, Joe and Nigerian multi-talented pop-star, D’banj were the centre of attraction at the MTN Project Fame West Africa season 4 opening gala which held Sunday, 2nd of October at Eko Hotel and Suites, Victoris Island, Lagos. The presence of the trio lit up the atmosphere at the event which marks the commencement of the fourth season of Africa’s most popular reality TV show, with exhilarating performances to the delight of a cheering crowd of over 5000 music lovers. The Oshadipe Twins Album Launch On Sunday 17th of July, 2011at Eko Hotel and suites, the long anticipated album launch of sensational Gospel and Inspirational Artistes Oshadipe Twins who have been around the scene for a long time, started off their careers as backup singers for gospel artiste, Ebenezer Obey, after which they went on their own and put out their first LP. The 2011 Elite Model Look Nigeria came up on Saturday, September 3, 2011, at the prestigious Civic Centre,Ozumba Mbadiwe,Victoria Island,Lagos. Chinwe Ejere won the coveted crown in an event which paraded 14 contestants. The show brought by Elohor Aisien, who was former Miss Nigeria UK. The event was attended by fashion designers,models,associates and others. Twiterave 3 – Nigeria’s first twitter party and awards event took on took place at Tribeca bar and club, Vitoria Island on Saturday, April 30, 2011 The event brings young people from the Social Network site , Twitter. Ynaija Hashtag Party was a night of pure fun, Music, fashion, twitter and networking hit a peak at the first ever #Hashtag Party hosted by YNaija and Chocolate City at Swe Bar, Onikan, Lagos. Celebs who attended the event – Nollywood Actress Stella Damasus, JayJay Okocha, M.I, comedian Tee A, Ice Prince, Snatcha of the Rooftop MCs, Jesse Jags, Brymo and many more! 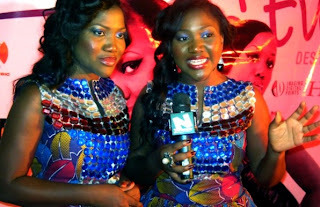 Smirnoff Ice Circruise party took place on November 22nd, 2011 at Landmark, Oniru , Lagos. The party was everything promised and then some. What a cool party! Perfect venue, perfect timing and adequate security. 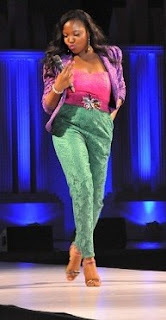 Laff for Christ Sake is an event packed with gospel rhythms and jokes. The show began way back in 1994 but took a break after its sixth edition in 2009. Since then, the Comedian Julius Agwu has been working tirelessly to resurrect the show. The show held this year at Muson Centre on October 23rd, 2011. AY Live in Abuja , Lagos and UK – Ace Comedian AY thrilled Nigerians and those outside Nigeria with hilarious jokes at his yearly Show AY LIVE. it is one of the biggest comedy show in Nigeria and outside Nigeria. The Mobile Market Sales is an affordable retail solution to fashion needs.Their aim is to provide affordable fashion for the average Nigerian. We retail fashion items as well as hosts fairs every month that provide an avenue for small business persons/designers to showcase their work and meet clients and for customers to shop at affordable prices. This event holds every month. NottinHill Carnival in Uk – Held each August Bank Holiday since 1966, the Notting Hill Carnival is the largest festival celebration of its kind in Europe. Every year the streets of West London come alive, with the sounds and smells of Europe’s biggest street festival. Twenty miles of vibrant colourful costumes surround over 40 static sound systems, hundreds of Caribbean food stalls, over 40,000 volunteers and over 1 million Notting Hill carnival revellers. Felabration 2011 is an annual celebration of the late music icon fela Anikulapo kuti, Felabration have announced the commencement dates for one of the biggest Music festival in Africa. Felabration 2011 held in lagos on Monday, 10th of october till sunday 16th oct.,2011. 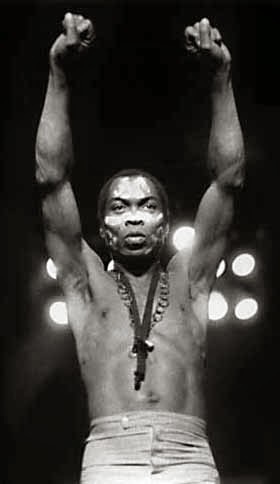 Fela in Lagos Show was an event based on the Life and Times of the Legendary ‘Abami Eda’ Fela Anikulapo-Kuti. The show portrayed the times and days he had with the Nigeria Military Government. Sahr Ngaujah spent the last two years playing the great Afrobeat pioneer Fela Kuti on stage in New York and London. Last April the Broadway show was brought to Lagos in February 2011. Lagos Carnival Creativity, glamour took the centre stage in Lagos on Saturday April 30th, 2011 as the Lagos Carnival 2011 took place at the Tafawa Balewa Square, TBS. People from various walks of life witnessed the beautiful display and scintillating performances by various colourfully attired Fanty groups representing different areas as the 2011 Lagos Carnival climaxed. It was the same week the 2011 Heritage Week kicked off the same week with the Fela Show and Boat Regatta. Sisi Oge The Pride of Africa, event celebrates beautiful African ladies and it also serves as an an opportunity to provide people with insight on our cultural essence and it’s relevance to your organizations and the society at large. This year’s event took Place at Civic Centre, Victoria Island, Lagos. MTN Power of 10 Concert Across 10 Cities – The Biggest and Largest Network in Africa celebrated their Ten Years Anniversary. #MTNPof10 took different cities in Nigeria by storm to celebrate their Ten years anniversary. Lagos Photo Festival – Art festival organized by the African Artist Foundation which brings out the ingenuity of both professional and amateur photographers in an environment of creative interplay. This year’s event display of various photographers from Ghana, Italy, south Africa, France, Holland, Nigeria etc took place at Muri Okunola Park, Victoria Island, Lagos. The 2nd Lagos Photo Festival opened on October 8 at the Eko Hotel and Suites in Lagos. It is the biggest photo exhibition on the west coast of Africa and the quality of images and stories on display are impressive. The competition was open from the 8th of OCTOBER 2011 and closed on the 10th of NOVEMBER. As part of events surrounding this year’s Hennessy Artistry, Hennessy Nigeria has announced a series of VIP Night club parties starting from September 30, 2011 with Tiwa Savage, Eldee and Banky W leading a pack of Nigerian artistes to major clubs in Nigeria! Since Hennessy Artistry announced headliners for this year’s project, it’s been all work and even more play for headliners Banky W, Eldee and Tiwa Savage. A video “Toast to the Good Life’ was released and also had series of club tours in Lagos, Abuja and Portharcourt. The Hennessy Artistry Headliners (Eldee, Banky W) with the Communication Brand Manager Tokini Petereside, Rapper MI, Producer Jesse Jags also visited France where the Cognac was produced. One MIc Naija is a monthly event organised by S.HA.R.E, WePlugGoodMusic and M.eta.l. So far, this event is one of the most entertaining live show event which reveals budding talents in the country. Previous editions have featured the likes of Nikki Laoye, Pope, Shank< Praiz, OB!, Ibiyemi etc Fashion Lounge , the brain child of Kemi Akande & Rachael Taiwo-Akingbade is fast becoming the most talked about fashion event in Nigeria. The initiative which is one of its kind in Nigeria is a monthly fashion industry networking party aimed at helping to create exposure for newcomers to the industry and provide an opportunity to socialise and meet with the movers and shakers of Nigeria’s fashion world. Fashion Lounge has already been graced by the likes of Award winning singer Tiwa Savage and renowned fashion designer & Genevieve magazine Fashion Editor Mai Atafo. 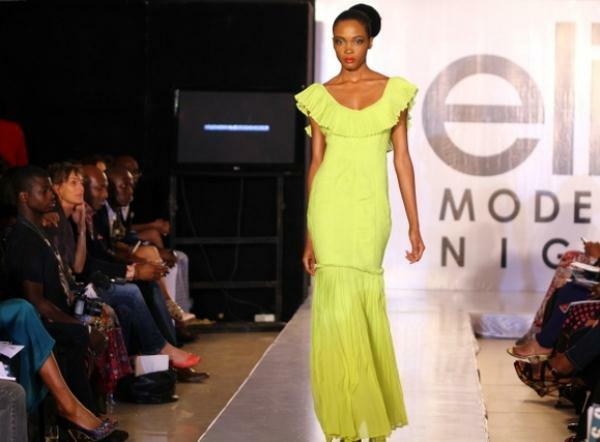 MTN Lagos Fashion Week debuted on October 26th through Oct., 29th 2011 at Eko Hotel and Suites, Victoria Island Lagos. 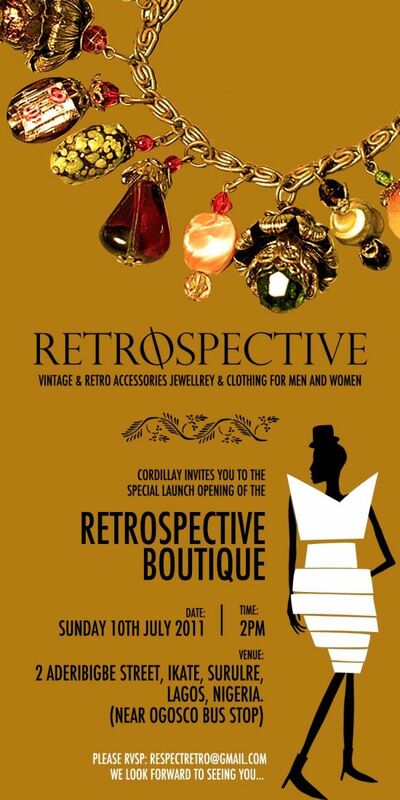 This event featured the finest and best of Nigerian Fashion and Top Designers like Obsidian, Virca Colections, Jewel by Lisa, Vintage, TT Dalk, Orange Couture, Kiki Kamanu, Mango, Bridget Awosika, Kelechi Odu etc. Over 50 exhibitors showcased their Designs, Products and Services like House of Tara, Blackberry, MTN, Natures Gentle Touch, Sleek Studio etc.